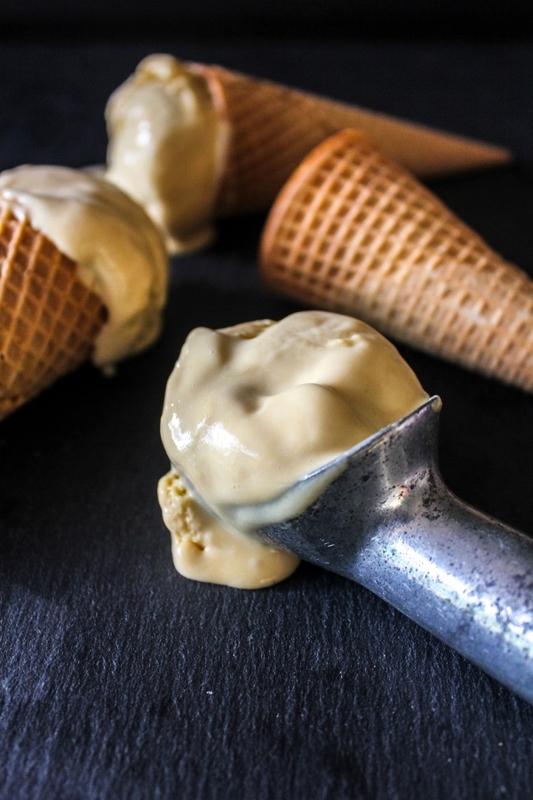 This rich and decadent Sea Salt Caramel Ice Cream is the perfect balance of salty and sweet and is so easy to make! There are so many things to do during the summer in Michigan. Not only do we have the Great lakes, inland lakes, beaches and sand dunes, but we have a ton of other outdoor activities to enjoy. From concerts in the park to amazing zoos to baseball games, there is plenty to do to keep your family busy. 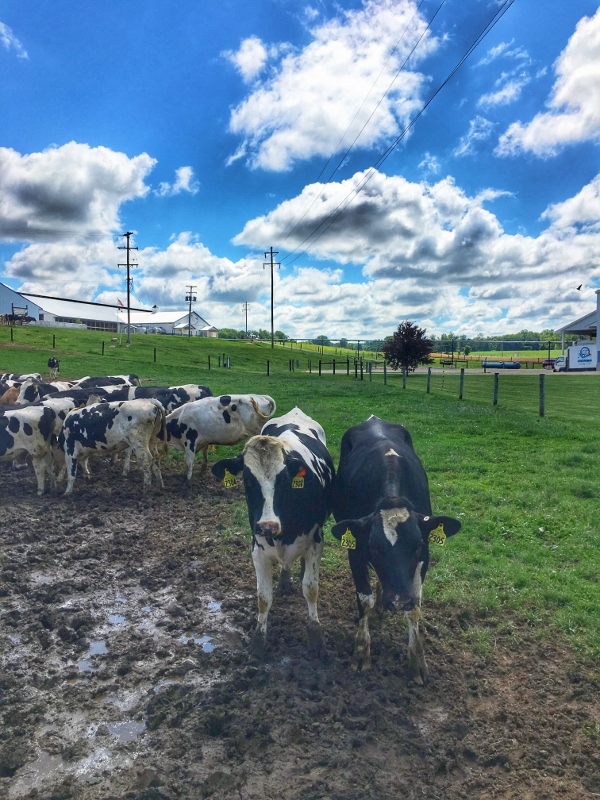 There are also some hidden gems, like MOO-ville Creamery and farm. 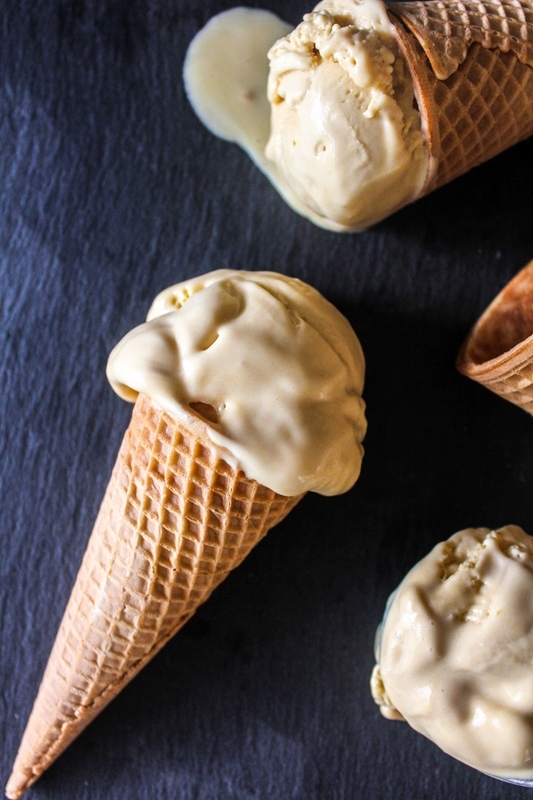 Not only can you stop into the store for scoops of your favorite creamy ice cream, but there's a petting zoo, large children's playground, and tours of the farm. You can choose a self-guided tours as well as public tours, which is much more in depth, which is what my mom and I did a few weeks ago. I just couldn't wait to check the farm out for myself! 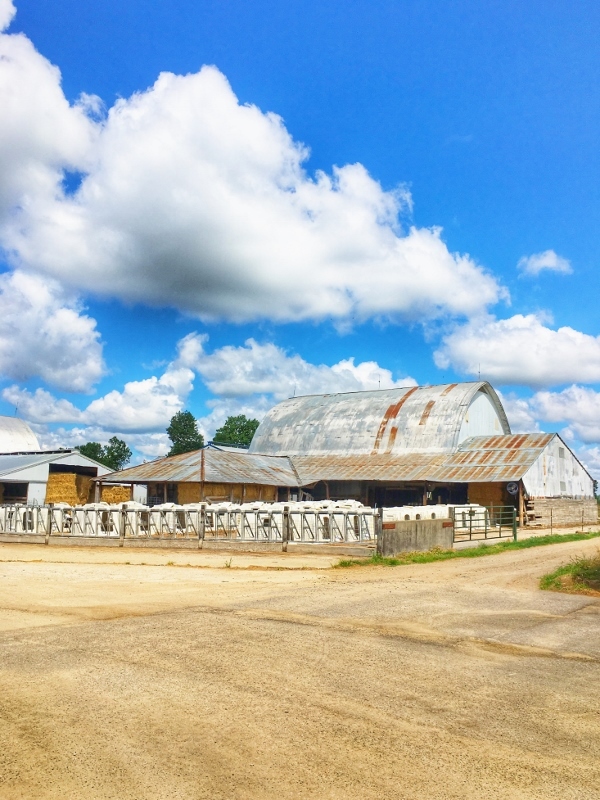 MOO-ville Creamery is family owned and operated by the Westendorp family. 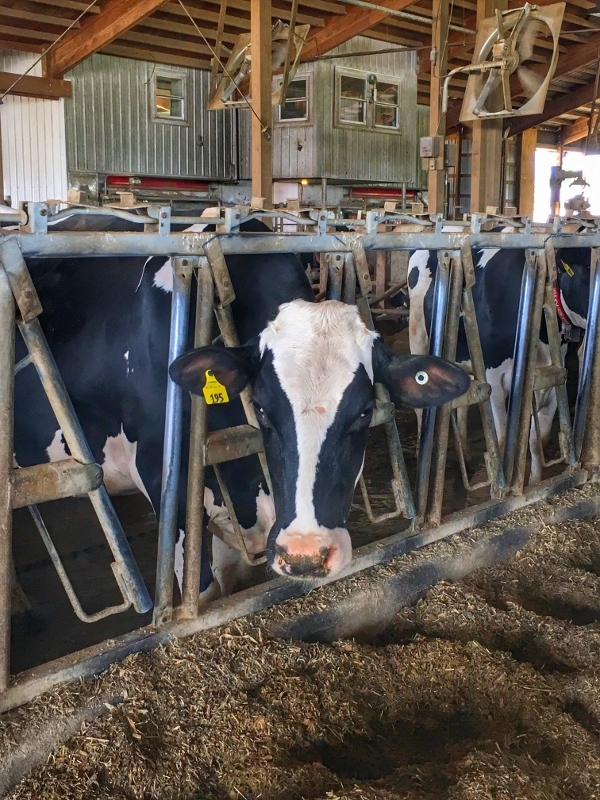 Their farm, the Westvale-View Dairy Farm, is located in Nashville, Michigan and they have a herd of 200 Holstein cows. Their mission is to produce high quality milk by processing it as little as possible, and they don't use any growth hormones. They bottle their own milk, make their own ice cream, cheese, and butter, all under the MOO-ville name. On our tour we were taken to the outdoor area where the cows ran, played around with each other, and tried to figure out why we were all staring at them haha. Most of them were not shy, coming up to the fence to check us out. While I was snapping a picture one of them snuck in and licked my arm! The area where the baby cows are kept! We walked to where the baby cows stay and got to meet the little cuties. Most of them were a little skittish of us and ran back into their pens, but some came out to great us. They were all so adorable! We checked out the indoor bar where the girls were resting and eating. They had nice big fans blowing all around which keeps the barn cool and the bugs away! The indoor barn had lots of fans going to keep the girls nice and cool! After visiting the cows we headed to see the milking station. 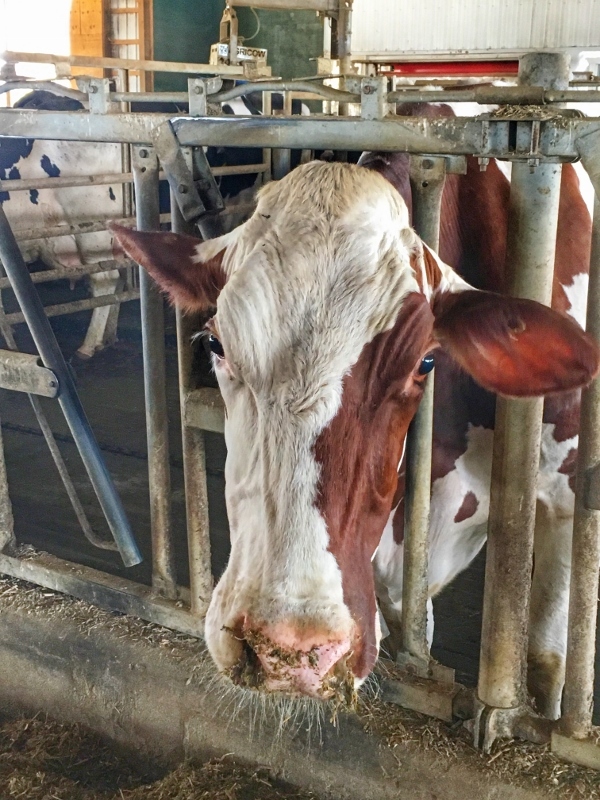 The farm uses two robotic milkers to milk the cows. The cows are fed a pellet, a little treat for them, which entices them to come to the robot. Everything is electronic and the process was really cool to see. The cows are weighed each time they are milked and the robot also weighs how much milk they give. 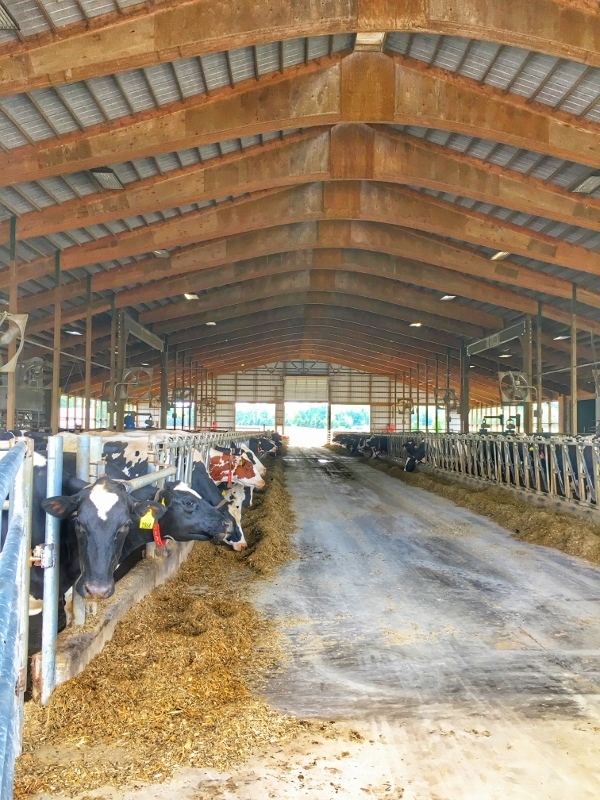 The cows can be milked up to five times a day and the farm averages around 11 gallons of milk a day per cow. That's a lot of milk! After our tour we stopped inside the creamery for an ice cream cone and soome goodies to take home. My mom enjoed the Triple Threat (a chocolate ice cream with chunks of brownies and cookie dough pieces), while I tried the Sea Salt Caramel. 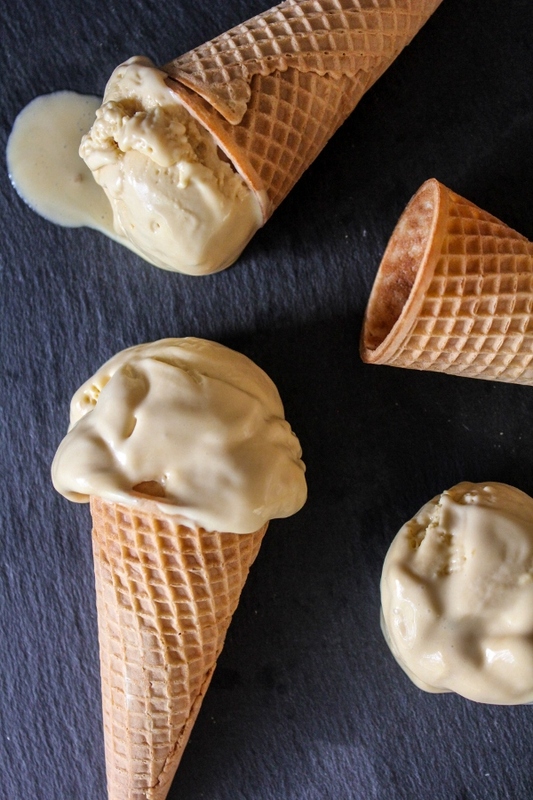 Both of them of them were of course amazing, and I was so inspired by our trip that I came home and made my very own Sea Salt Caramel Ice Cream. It may not be exacltly like MOO-ville's, but it's pretty darn delicious if I do say so myself! It's not hard to make at all, it just takes a little time and patience. Believe me though, it's so worth it! 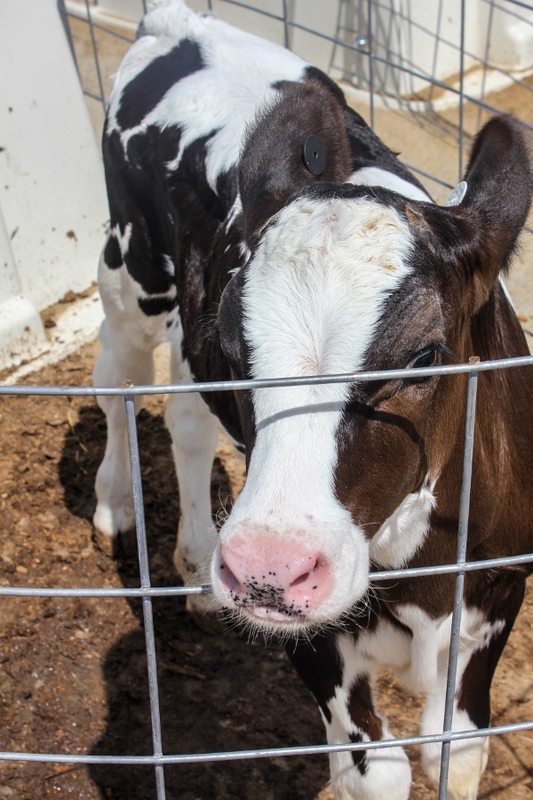 If you're looking for something fun to do with the kiddos this summer, I highly recommend taking a trip to MOO-ville Creamery! The petting zoo and playground area are free, and you can even take a self-guided tour of the farm at no charge as well. It's a perfect way to enjoy an afternoon and get some delicious ice cream while you're there! To make the caramel, measure out 1/2 cup of the sugar. Put about half of that in a heavy bottomed pan over medium-high heat. When the sugar is melted and starts to turn amber in color, stir gently and add the remaining sugar. Stir the mixture frequently and watch it carefully as the sugar darkens, stirring to help it melt evenly. When the caramel becomes a dark brown color, remove the pan from the heat and immediately pour the cream slowly into the pan. (Be very careful here as the mixture will bubble up! You want to avoid any splatters) When the bubbling subsides, gently stir to blend the cream completely into the caramel. If you have a few lumps of caramel in the pan, just put it back on the stove over low heat and stir until the caramel is melted. Next, make the base. Once the caramel is completely smooth stir in the milk along with the salt and put the pan back on the stove over medium-high heat. When the mixture starts to simmer and little bubbles form, reduce the heat to medium. In a medium heatproof bowl, whisk the yolks together to break them up, then whisk in the remaining 1/4 cup of sugar. Carefully scoop out about 1/2 cup of the hot cream mixture and, while whisking the eggs constantly, add the cream to the bowl with the egg yolks. Repeat, adding another 1/2 cup of the hot cream to the bowl with the yolks. Next, you'll add the egg mixture to the pan with the hot cream. Stir the cream as you slowly pour the egg and cream mixture from the bowl back into the pan. Continue to cook the mixture carefully over medium heat, stirring constantly, until the mixture is thickened. It should coat the back of a spatula and leave a clear mark when you run your finger across it, about 2 minutes longer. Set the pan into an ice bath on the counter and stir the base occasionally until it is cool. Once cool, cover the base with plastic wrap and refrigerate for at least 2 hours or up to overnight. When the base is completely chilled, freeze in your ice cream machine according to the manufacturer's instructions. 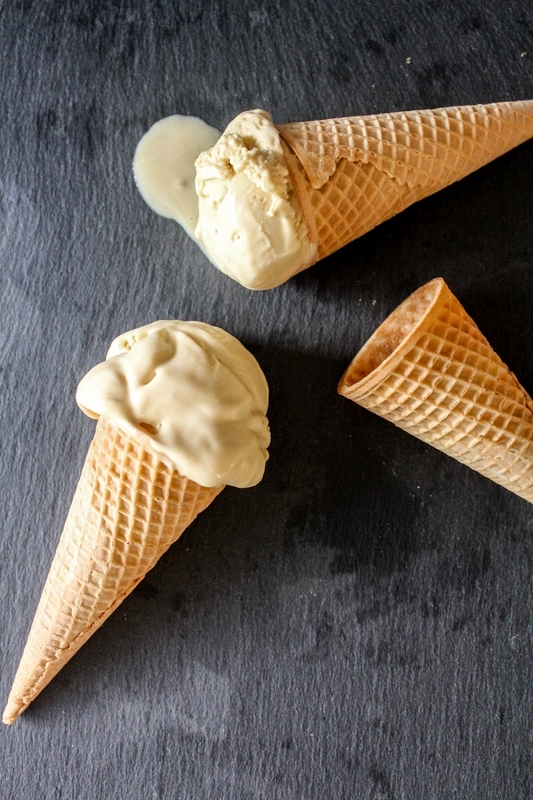 You can enjoy the ice cream right away, or freeze for a few house if you prefer a firmer ice cream. Store any leftovers in a tightly covered container in the freezer.